Just over two and half years ago, composer and UWA graduate Michael Grebla received word that he would need to pack up his life and head for the Big Apple. He was in the car when he got the call that he had been awarded a General Sir John Monash Scholarship, to pursue postgraduate studies abroad. The Monash Scholarship is among Australia’s most prestigious and sizeable postgraduate scholarships, with only 15 awarded across all fields that year. Michael, who studied a combined degree of Mechanical Engineering and Music Honours (I) at UWA and was a resident of St George’s College, was the only West Australian recipient. Having contributed significantly to the University’s and Perth’s cultural landscape by way of a flourishing music program and concert series at St George’s College, for which he was awarded Convocation’s Bryant-Stokes Matilda Award for Cultural Excellence, Michael continues to be a strong advocate for the arts and WA. Michael received offers from a number of conservatories in the United States. Though put off by his first impression of New York – which he described as gritty, loud and particularly unglamorous, as it was the dead of winter – he ultimately elected to study at the New England Conservatory (NEC) in Boston where he was offered a competitive merit-based entry scholarship. He then departed his cosy existence and community of friends and family, with nothing more than two suitcases and "faith in the statistical probability of death being quite remote". It was a challenging transition. Starting life afresh, knowing nobody, displaced as far from home as one could be, and being submersed in an entirely different culture separated only by a common language, was not without difficulties. It was these circumstances, though, that provided enormous opportunities for enrichment. Michael met many remarkable individuals such as Yo-Yo Ma, Thomas Addes, Sofia Gubadalina, in addition to receiving instruction from the protégés of music history’s biggest names including Aaron Copland, Leonard Bernstein and Milton Babbitt. He engrossed himself in everything the Conservatory had to offer; had works performed and recorded; and every semester was a ‘Dean’s List’ recipient for outstanding academic progress. Only one brief trip was made back home during his studies. In January 2018, at the invitation of the Australian Youth Orchestra, Michael returned to Australia as one of four composers selected nationally to compose and premiere a new work in Adelaide for chamber orchestra, as part of National Music Camp. 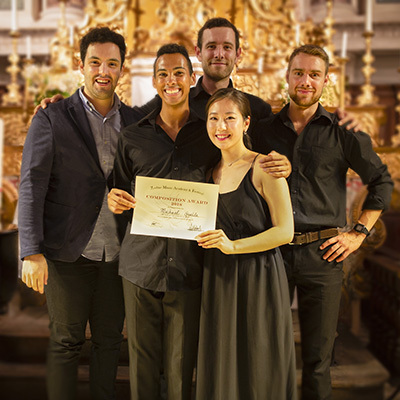 His participation was only made possible by receipt of the New England Conservatory’s Travel Award, in addition to a scholarship from the Australian Youth Orchestra and the support of the Monash Foundation. He graduated in May 2018 with a Master of Music receiving the distinction of ‘Academic Honours’. During this time, he was also a recipient of two awards from the American Australian Association Arts Fund which supported his studies. He was showcased at the Association’s exclusive New York Australia Day Gala and performed for guests including Hugh Jackman, Naomi Watts and Former Prime minster Kevin Rudd. Since settling in the US, Michael has slowly warmed to the idea of living in New York and came to better understand the many opportunities it could provide for his career – this opportunity proved to be one of many indications that New York was the next step. Shortly before graduation, Michael learned he had been accepted into the Zodiac Festival in Nice, France to premiere a new work for string quartet. With no means of otherwise funding his participation, he turned to crowdfunding and in less than 11 days secured all funds required (and more). Shortly thereafter he premiered his first string quartet ‘Sfidare’ in July 2018, his European debut. 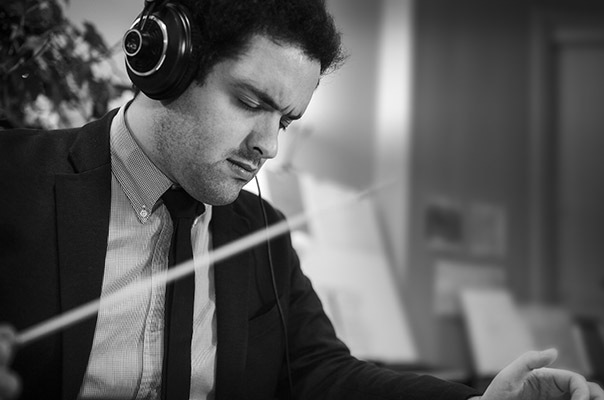 The work proved a great triumph for the young West Australian and saw him claim the Festival’s Composition Award for the most outstanding new work of the festival. 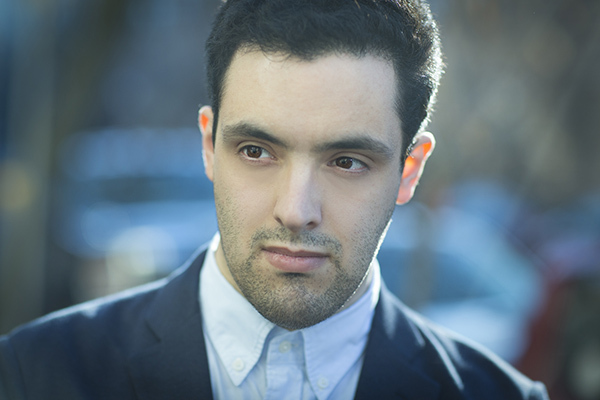 Fresh off his win in Europe and graduation, Michael has returned to the United States to begin the next chapter of his career: establishing himself as a freelance composer in New York City and continuing to build his presence as an artist among the international community. Stringent visa conditions complicate the situation, only permitting him to work within the confines of music/composition, which, given the early stage of his career, will make it nearly impossible to survive abroad in a new and costly city. He is, however, determined, and in a bid for aid in getting on his feet, Michael is appealing to prospective patrons who might help fund his first 12 months in New York. His hope that in doing so, he will be given a fighting chance at competing in a narrow and very competitive profession. Music man, Michael Grebla (left of photograph).